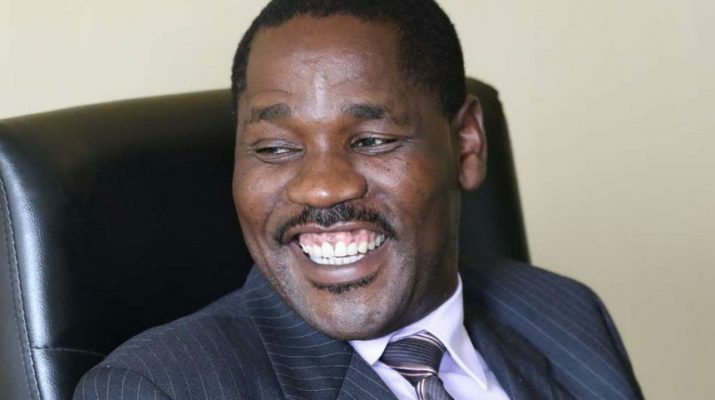 Council of Governors chairman Peter Munya claims no pay for doctors who were on 100-day strike – Kenyatta University TV (KUTV). All Rights Reserved. Council of Governors chairman Peter Munya has said doctors will not be paid for the 100 days they were on strike. There is no law stating that someone should be paid for work they have not done. Munya on Wednesday said governors will be held accountable if the doctors are paid. He reiterated that doctors should not pressure governors to pay for the days they did not work, saying it is against the law. “If they did not work, how will we pay them? Doctors were on strike for 100 days and people died. If I pay, I will be accountable to the Senate Public Accounts Committee,” Munya said. “I have no means on how to pay them, because the money to pay them is public’s, not mine. The law says do not allow payments to someone who has not done their job.” The governor spoke in Muthara, Tigania East, after opening a livestock market. They will only be paid from the time they returned to work. “They should not say we refused to pay. In the return to work agreement, we said there will be no payments for the days they were on strike,” Munya said. He said they have sourced for more doctors from Tanzania who are willing to work in Kenya. “We are still looking for more doctors to be employed according to specialisation. We are bringing 500 doctors from Tanzania,” Munya said. The order comes days after CoG, the Health ministry and the doctors’ union officials signed a return to work formula. The doctors signed the agreement and called off their strike on Tuesday last week.